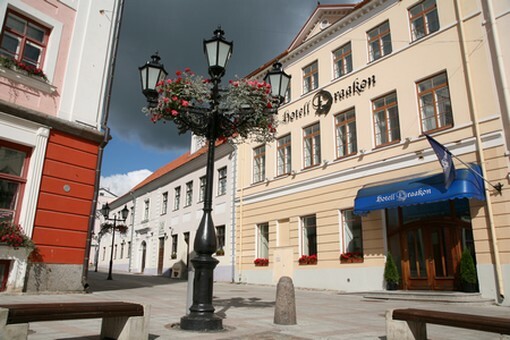 The Hotel Draakon forms part of the regal architectural skyline of the Old Town of Tartu, in which both the Baroque and the Classicist are represented. Right next to the hotel is the Town Hall, built in 1789, while just a stone's throw away are the historic symbol of the University of Tartu – its main building, completed in 1802 – and St. John's Church, which dates back to the 13th century. 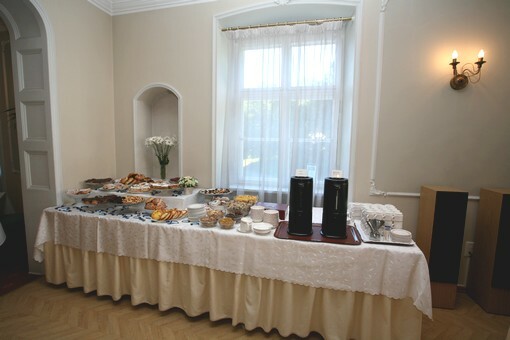 The Hotel Draakon is at the heart of an architectural junction on Tartu's Town Hall Square, where 18th century Baroque (the restaurant building) meets late 18th century and early 19th century Classicism (the hotel building). Both styles can be enjoyed on the exterior. 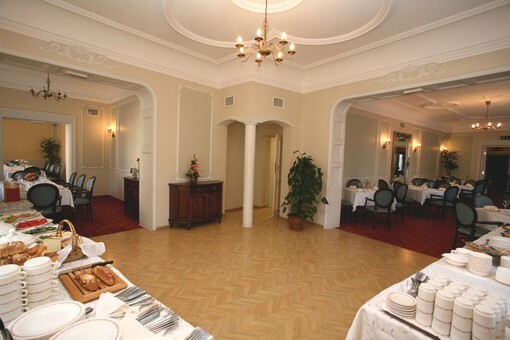 The interior of the hotel maintains the framework of the period, with modern interior design offset by Classicist (hotel) and Baroque (restaurant) elements. 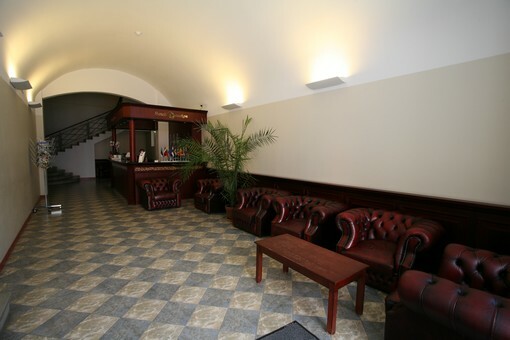 The hotel's reception is located in a unique 18th century cylindrical arcade which once formed the entrance to Town Hall Square's horse courtyard. Views from the hotel open up over Toomemägi Hill and the roofs of the Old Town. Sports and cultural events held on Town Hall Square can be watched from the balconies which our family rooms boast.